A 2,110 sq ft unit at Reflections at Keppel Bay will be put up for its first auction by Edmund Tie & Co. The auction will take place on Nov 21, at an opening price of $4.3 million ($2,038 psf). This is also the first mortgagee sale at the development for ET&Co, according to Joy Tan, its head of auction and sales. Reflections at Keppel Bay, a 99-year leasehold development by Keppel Land, the property arm of Keppel Corp, was completed in 2011. 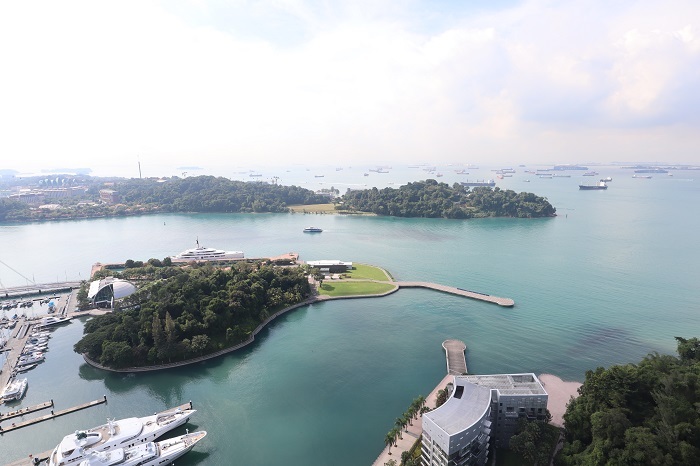 It is located on Keppel Bay View, off Telok Blangah Road, in District 4. Designed by acclaimed Polish-American architect Daniel Libeskind, the 1,129-unit development includes six glass towers of between 24 and 41 storeys. There are also 11 villa apartment blocks that are six to eight floors high. The development won the Gold award at the FIABCI Prix d’Excellence Awards in 2013. The four-bedroom unit on the 35th floor will be sold with vacant possession on an “as is where is” basis. It was first purchased from the developer in June 2010 for $6.07 million ($2,876 psf). The unit’s master and junior master bedrooms come with en suite bathrooms. It has a closed-concept kitchen and utility room as well. The highlight, however, is the view. This corner unit offers 180-degree, unblocked views of the marina and the sea, as well as of greenery at Mount Faber Park. Tan describes the unit as “bright and spacious”, with a “large living and dining space”. 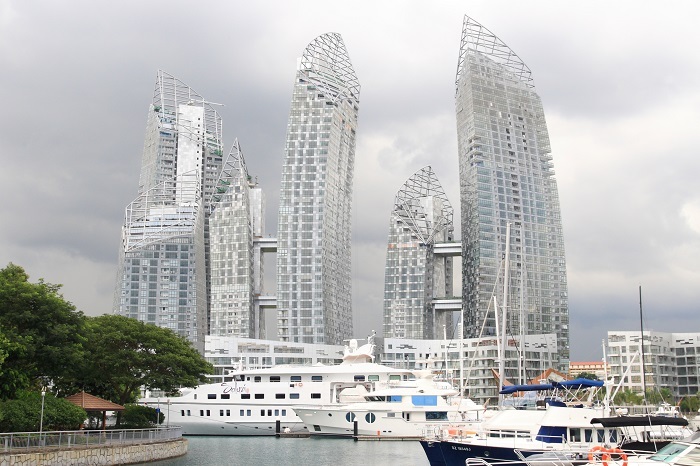 There have been 53 resale transactions at Reflections at Keppel Bay this year. According to caveats lodged, the most recent transaction was in October, when a 1,076 sq ft, two-bedroom unit on the sixth floor changed hands for $1.7 million ($1,579 psf).